A clear choice for your unique incineration needs and budget! Units are being used all over the United States helping Legal Justice Centers. Illegal drug traffic is a growing problem in the US and abroad. Firelake has disposal units for narcotics and medical prescription drugs that render the drugs to ashes. Automatically controlled burners attack the waste from multiple sides. 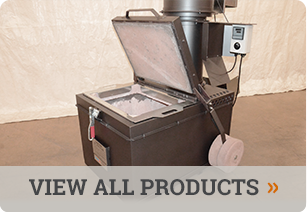 Secondary burn chambers are available in many sizes. Operation is simple, preheat, load, press START. A few hours later the materials were broken down into ashes. Click on the drug disposal incineration models above to read the unique benefits of each. Contact us toll-free with any questions you may have about which model is best for your needs at (800) 820-3391 or (320) 275-3391 or contact us using the form below.